Quick and understated, as a cricketer and a personality, Mudassar was far more of a "mode" batsman than his more gifted partner Mohsin Khan, but he made the most of what he had. One of Mudassar's predecessors as Pakistan's opening bat was his father, Nazar Mohammad, who suffered an unfortunate accident after he carried his bat through an innings in Pakistan's inaugural Test series in 1952-53. 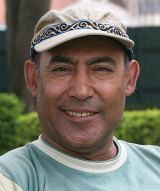 Mudassar himself was at his best on slow, low pitches: his innings against England in Lahore in 1977-78 was as slow as they come and wouldn't attract a crowd of 50,000 nowadays. As a league pro in England he developed his medium-pace, which had its moments. After retiring he took up coaching, briefly, taking charge of the Kenyan national side in 2005. 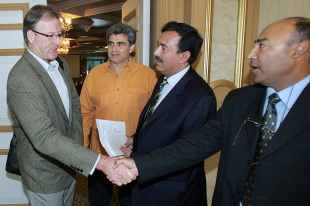 He served as director of the Nairobi Cricket Academy as well as Pakistan's National Cricket Academy and was part of the junior selection committee as well. His experience with academy cricketers earned him a position with the ICC"s Global Cricket Academy in Dubai. Find Mudassar Nazar profile and stats of batting, bowling and fielding including latest updated news of Mudassar Nazar, videos and images at Hamariweb.com. Also find detail Player profile and career statistics of Mudassar Nazar of Pakistan. Mudassar Nazar - Find Mudassar Nazar of Pakistan Cricket Team complete player profile, number of matches, runs score, wickets & catches, Statistics, Records, Mudassar Nazar Latest News, Mudassar Nazar Videos, Mudassar Nazar Photos, and other Mudassar Nazar Cricket Team players.